TOKYO, June 17, 2015 — Ricoh today announced that it made use of the Renewable Energy Certificate System* and covered the total power consumption of 1.8 million kWh at Ricoh Group companies in Japan and other countries with green power generated by natural energy on June 5, the United Nations World Environment Day. Through the use of the Renewable Energy Certificate that Ricoh bought from Japan Natural Energy Company Limited, the electricity consumed is considered as being supplied by natural energy. Ricoh has been using this system since 2010 to provide electricity for the Ricoh Black Rams night games of the Japan Rugby Top League. Last year, the system was used to cover power consumption by Ricoh Group companies in Japan on the United Nations World Environment Day. This year marks the first time the system has been used globally. 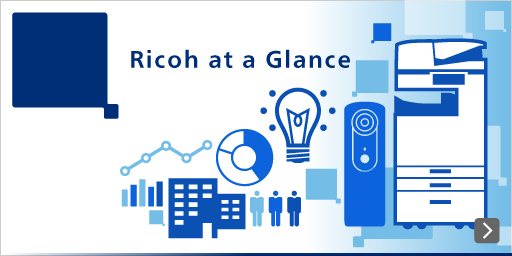 The Ricoh Group positions June as "Ricoh Global Eco Action Month," and in line with this theme the company is conducting "Ricoh Global Eco Action 2015," a special event to encourage Group company employees to think about the earth environment and take eco actions. The use of green power is such action. 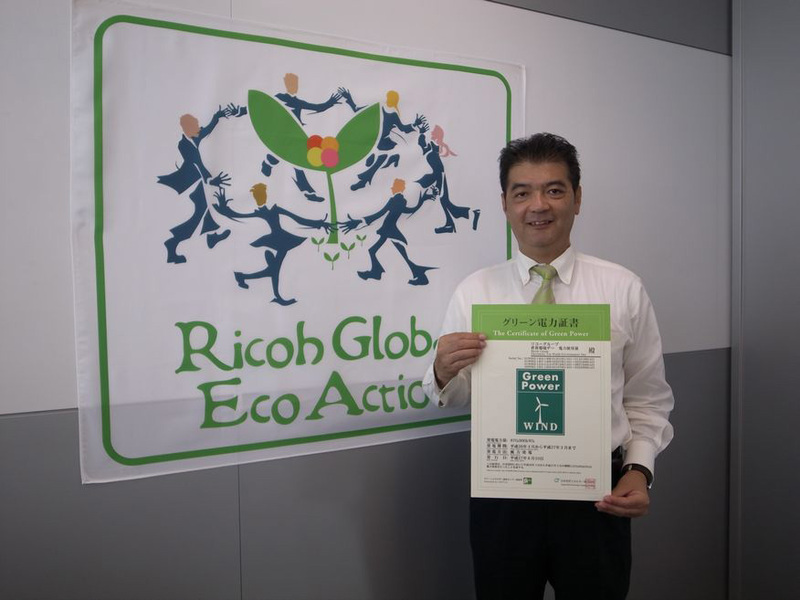 Going forward, Ricoh will continue holding Ricoh Global Eco Action as a springboard for promoting global environmental conservation initiatives and eco-awareness activities all over the world. The Renewable Energy Certificate System considers the electricity generated by natural energy to be a combination of the "actual value of electricity" and "environmental added value," such as energy conservation (reduced consumption of fossil fuels) and the suppression of CO2 emissions. The certificate issuer sets the price for "environmental added value" and sells it as a "Renewable Energy Certificate." The purchaser of the certificate can combine the "Renewable Energy Certificate" with the electricity purchased. By doing so, the purchaser is considered to be using green power generated by natural energy. The expense paid by the company or local governments for the purchase of the "Renewable Energy Certificate" is used for the maintenance and expansion of the power generation facility through the certificate issuer. In this way, the purchaser of the certificate makes a contribution to the spread of natural energy equal to the amount of green power received from the certificate, even though the purchaser does not have a power generation facility. Interest in the Renewable Energy Certificate System is growing because it is believed to help prevent global warming.